Desert rock veteran Brant Bjork, returns to New Zealand with a cast of seminal players for his LOW DESERT PUNKS (downunder) TOUR. Rising like a mushroom cloud out of the Palm Desert scene in the early ’90s as a member of the seminal stoner rock outfit KYUSS, Brant Bjork went on to distinguish himself as a talented singer and songwriter in his own right, in addition to playing with Orange County rock stalwarts FU MANCHU. For his Low Desert Punks tour, BRANT, has put together a considerable roster of players - his most “ideal” unit yet featuring Dave Dinsmore on bass (Che, Bl’ast), Bubba Dupree on guitar (Void, Hater) and Tony Tornay on drums (Fatso Jetson, Chuck Dukowski) This is a new band with old school, heavy, classic punk and rock roots but also a band with a fresh attitude of ﬁre and urgency. KYUSS are one of the most influential and pioneering bands at the front of the desert rock movement. From the late 80’s until 1995 they amassed several legendary recordings & a legion of cult like fans. After several line-up changes, Kyuss eventually split up in 1995, and since then, members of Kyuss - including Brant Bjork - have gone on to form or play in several notable musical groups including; Queens of the Stone Age, Fu Manchu, Dwarves, Brant Bjork, Eagles of Death Metal, Mondo Generator, Hermano, Unida, Slo Burn, The Desert Sessions and Them Crooked Vultures. In 2010, John Garcia (the original singer of Kyuss) asked Brant if he was interested in putting the legendary Kyuss back together for a European tour, he jumped at the chance to bring the music to the new generation of Kyuss fans. The appropriately re-titled, Kyuss Lives! did indeed tour Europe and was such a sold out success that the demand snowballed to earth size, including 2 shows at The Powerstation here in Auckland New Zealand. However shortly after returning from a magical South American tour and landing a undeniable record deal, the Kyuss Lives! party was interrupted by a lawsuit resulting in the name Kyuss unable to be used… and so was born Vista Chino (a street name in the desert from where Kyuss originate.) Vista Chino built and assembled an all analogue sound studio out in the middle of the desert of Joshua Tree and produced the Vista Chino 2013 debut, tastefully titled, “Peace”. It was a huge worldwide success. 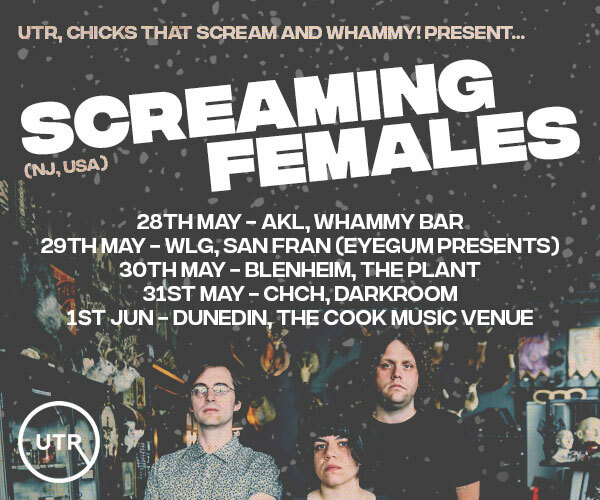 But it’s his solo career that keeps the flames burning for Brant and Mystery Girl couldn’t be prouder to bring Low Desert Punks to New Zealand this June. Don’t miss out!